The Haseki Hürrem Sultan Bath is a Turkish hamam that was commissioned by Sultan Suleiman I's consort Hürrem and constructed by Mimar Sinan during the 16th century in Istanbul. It was constructed for the religious community of the nearby Hagia Sophia. In 2007 Istanbul authorities decided to return the hamam to its original use after a 105-year hiatus and launched a tender for its restoration, won by a tourism development group. After a 3-year-long restoration project that costed $11 million, the bath re-gained its glory and now being operated by Haseki Tourism Group. Hamam services start from "Pir-i Pak" package of 70 euros for the customary steam bath, peeling and soap massage. 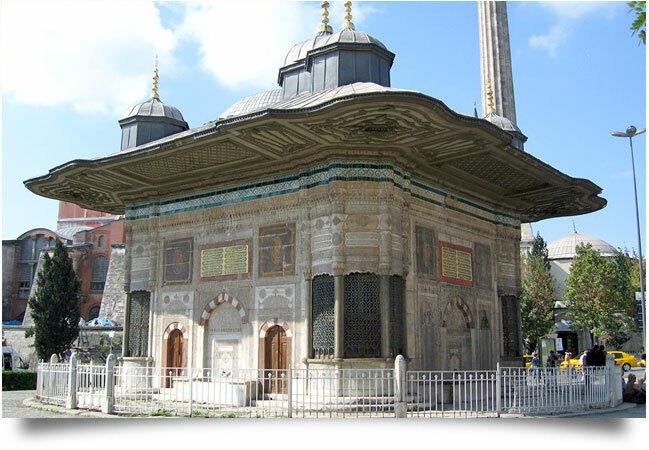 The Fountain of Sultan Ahmed III (Turkish: III. Ahmet Çeşmesi) is a fountain in a Turkish rococo structure located in the great square in front of the Imperial Gate of Topkapı Palace in Istanbul, Turkey. 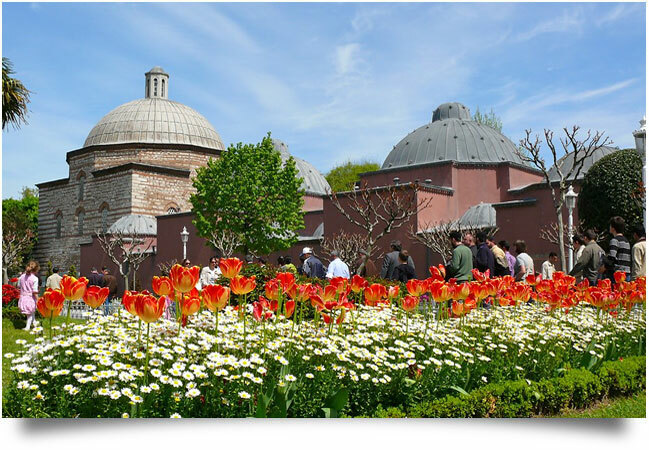 It was built under Ottoman sultan Ahmed III in 1728, in the style of the Tulip period. It was a social centre and gathering place during the Ottoman period of Constantinople. Arasta Bazaar, located in Sultanahmet Square, has been one of the most attractive shopping centers of Istanbul since 17th Century. During the Ottoman period it was known as the Sipahiler (Cavalrymen) Bazaar because generally cavalrymen stuff was sold there. In more than seventy shops of Arasta Bazaar, handmade carpets and rugs coming from all over the country are sold. Some of those carpets, which the natives and the foreigners are highly interested in, are antiques and some of them are reproductions knit by sticking to the original models. There are not only carpets and rugs in this bazaar. You can also find various souvenirs made of leather, golden or silver along with natural stones such as meerschaum. 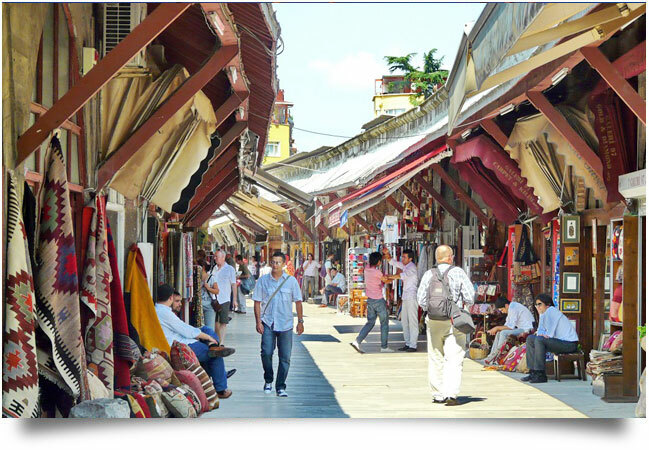 Arasta Bazaar is also significant because it is the last standing example of the historical open bazaars in Istanbul. We highly recommend you to visit the Arasta, which is a historical bazaar with a long history of more then 300 years. We have no doubt that you would like to give yourself or your beloved ones a gift of handmade carpet or rug.